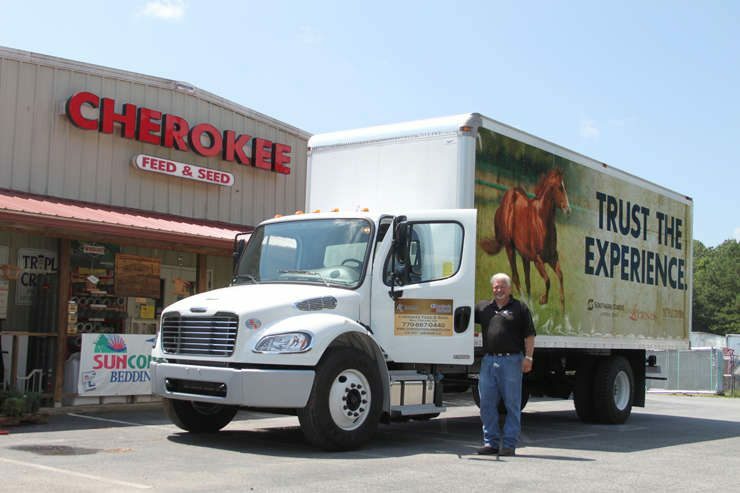 Cherokee Feed & Seed provides reliable feed and hay delivery to your farm or location by experienced drivers. The delivery charge includes orderly stacking of grain bags in your grain room or neatly stacked bales of hay in your barn. We look forward to serving you soon with prompt, convenient delivery service! 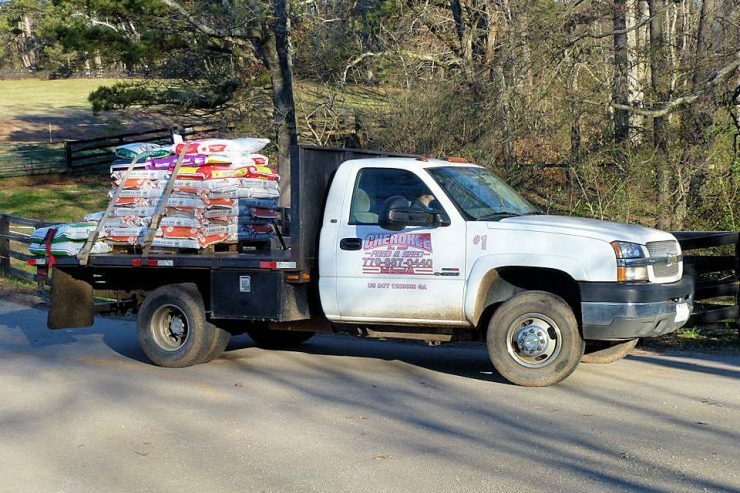 Whether you need your shavings in bag or in bulk, Cherokee Feed & Seed trucks can deliver right to your farm. 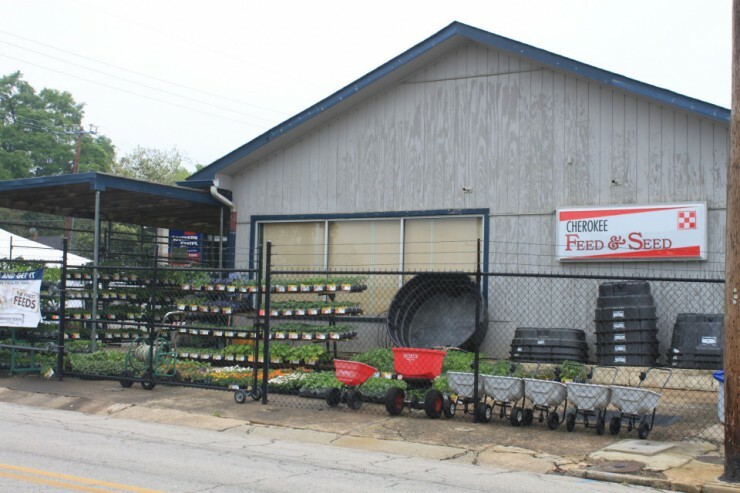 The delivery charge includes unloading at your farm. Cherokee Feed & Seed delivers hay. 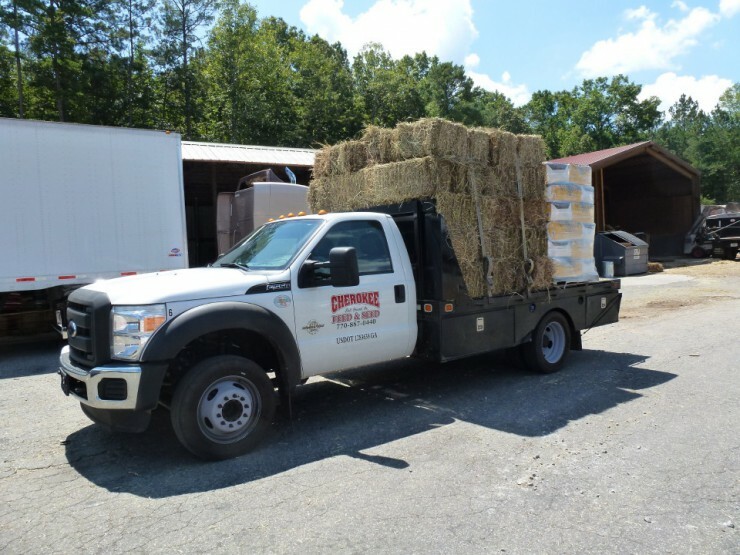 If you just need a few bales delivered with your grain or if you need a tractor-trailer load of hay, give us a call and we will deliver! We have round bales, square bales and straw. What products would you like delivered?